As a business ourselves, we are very aware of the importance of recognising the part staff and customers play in ensuring a thriving and successful business. Our award winning brownie gift boxes are the perfect solution to welcome new clients, congratulate employees, reward customer loyalty, wish Merry Christmas and to simply say “thank you”. Baked fresh to order by hand and beautifully packaged in bespoke gift boxes, our brownies really do make a memorable and unique gift. We can tailor your gift boxes with your company’s branding and add a personal message so it meets your needs exactly. Available to order individually or in bulk for nationwide delivery, our gift boxes are the obvious choice if you want to impress. For any special occasion, a beautifully decorated brownie tower is a stunning addition. Decorated with fruit and flowers for a summer party or wedding, or with berries and holly for a Christmas party, it will be talked about and remembered long after the event. 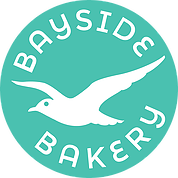 At Bayside Bakery, we work really hard to understand your specific requirements so your tower is perfectly suited to your needs. If you are local to us in Bridport, Dorset, we can bake, set up and decorate your tower. If however you live further afield, we can courier deliver the brownies and stand and offer all the help and advice you need to set up your own tower. If you would like to know more then please do get in touch with us, we are always very happy to hear from you.